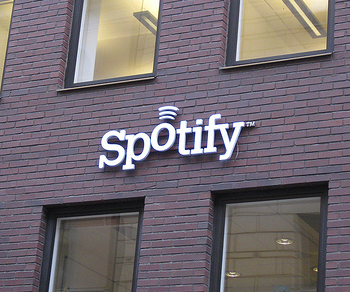 Streaming music service Spotify has won fans throughout Europe with its well-stocked, on-demand music library. Until now versions have been available for Windows, Mac and some mobile platforms but Linux has been out in the cold. Not any more. Spotify for Linux, announced today, is still a slightly wobbly pre-release version but at least it shows the company is will to expand onto less mainstream platforms as it traverses the road to profitability. The current version only supports streaming, meaning that the ability to play back local files so popular in the Windows and Mac versions is missing. Spotify explains “Unfortunately, there are issues regarding decoding of local music on the Linux platform so we haven’t included support for local files in this version.” Hopefully they’ll get this solved in a future build. The company also hasn’t found a way to reliably display ads within the app yet (which fits the ‘hippy’ image of Linux quite well, we think) so for now this preview release is only available to paying Spotify Premium subscribers. 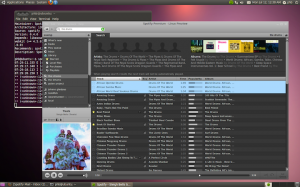 You can grab Spotify for Linux here. Oh, and as we are obliged to say in every Spotify report – there’s still no sign of a US launch for this fantastic service. Read next: Ballmer promises Windows 7 slates this year.